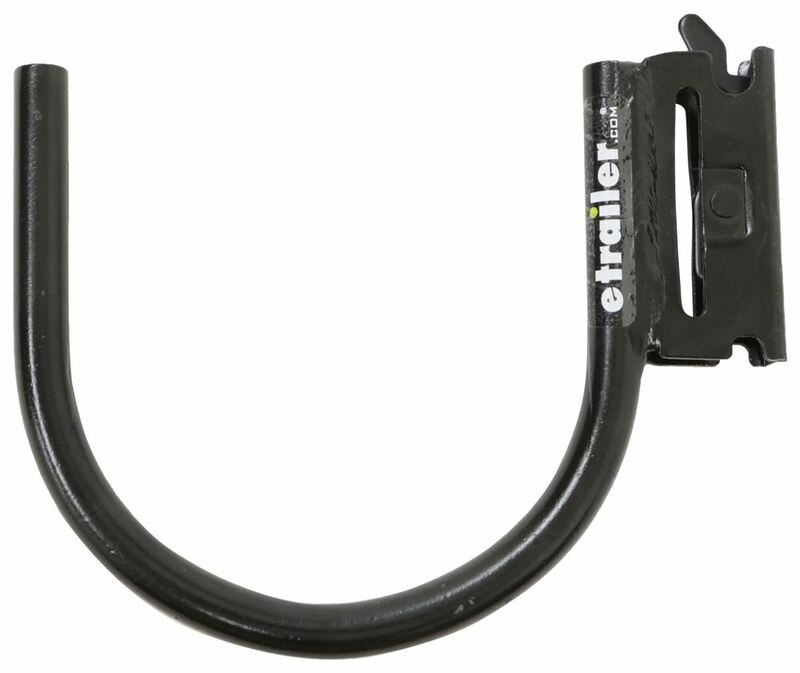 This J-hook clips into an E-track anchor point, allowing you to hang cargo inside your trailer. 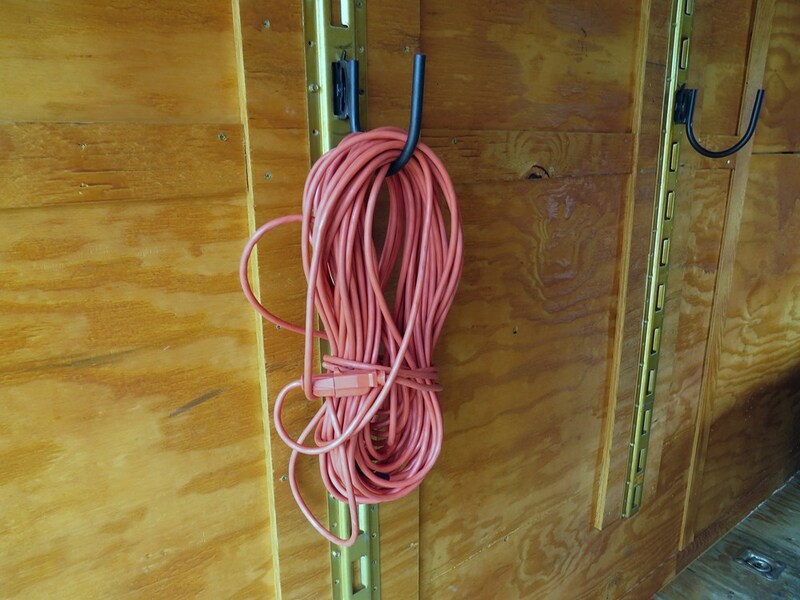 The round shape makes it perfect for storing PVC pipe or other tubing. Spring-loaded fitting easily snaps into slots on E-track. 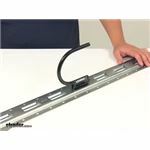 Call 800-298-8924 to order Erickson e track part number EM59141 or order online at etrailer.com. Free expert support on all Erickson products. 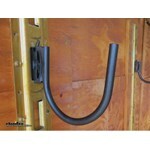 Guaranteed Lowest Price and Fastest Shipping for Erickson Storage Hook for E-Track - Round. E Track reviews from real customers. 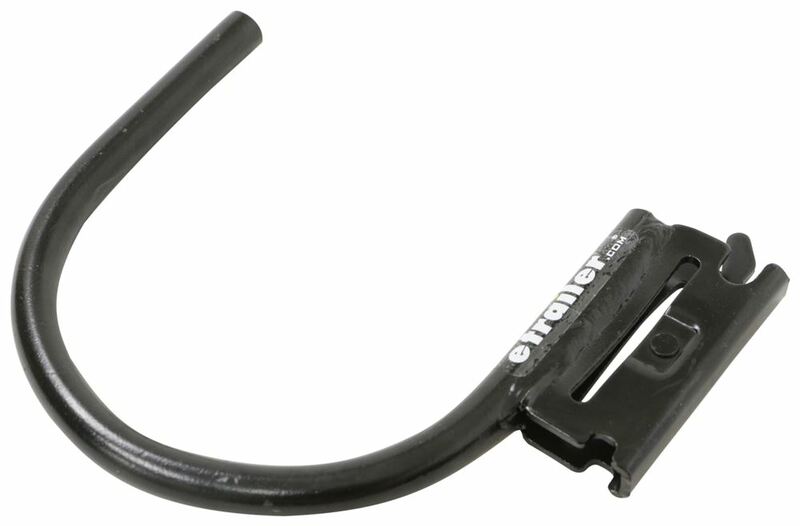 This J-hook clips into an E-track anchor point, allowing you to hang cargo inside your trailer. The round shape makes it perfect for storing PVC pipe or other tubing. Spring-loaded fitting easily snaps into slots on E-track. 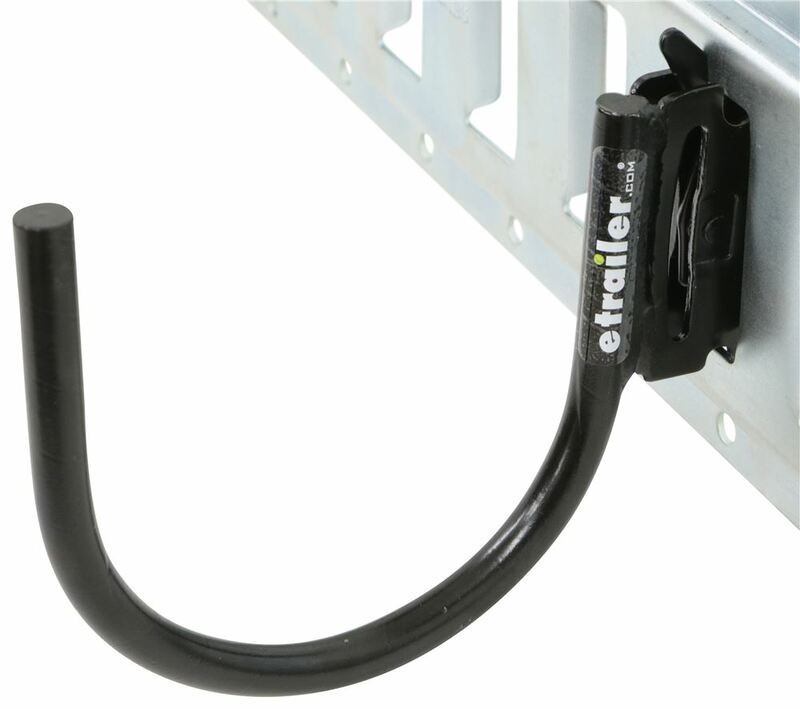 Speaker 1: Today we're taking a look at the Erickson Storage Hook for E-track systems. 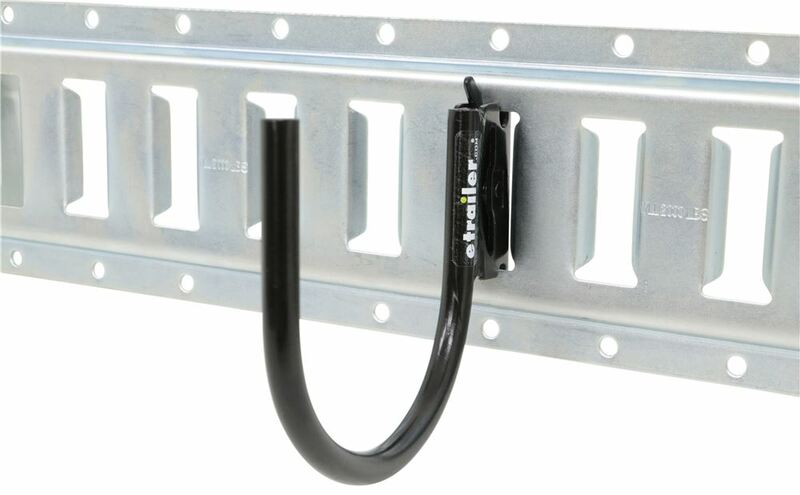 This J-style storage hook snaps into an E-track, so you can hang cargo inside your trailer. 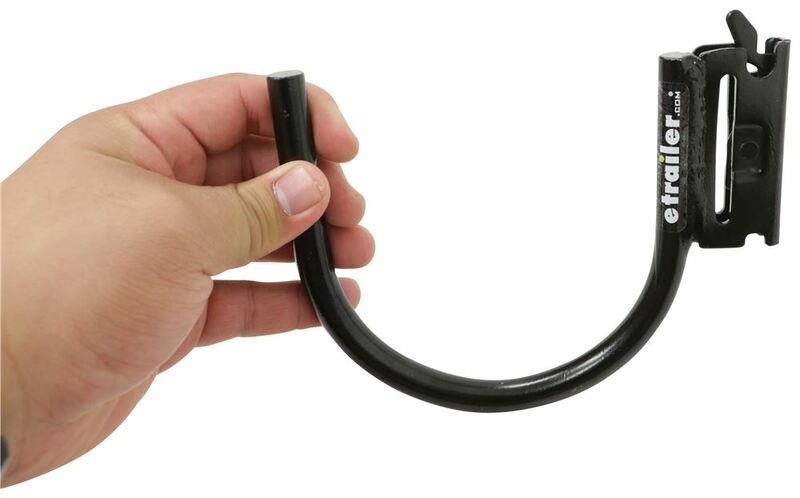 It's got the nice round shape, so this is ideal for hanging PVC piping or other types of tubing. And it features a spring loaded fitting, right here, easily snaps into the E-track anchor points. 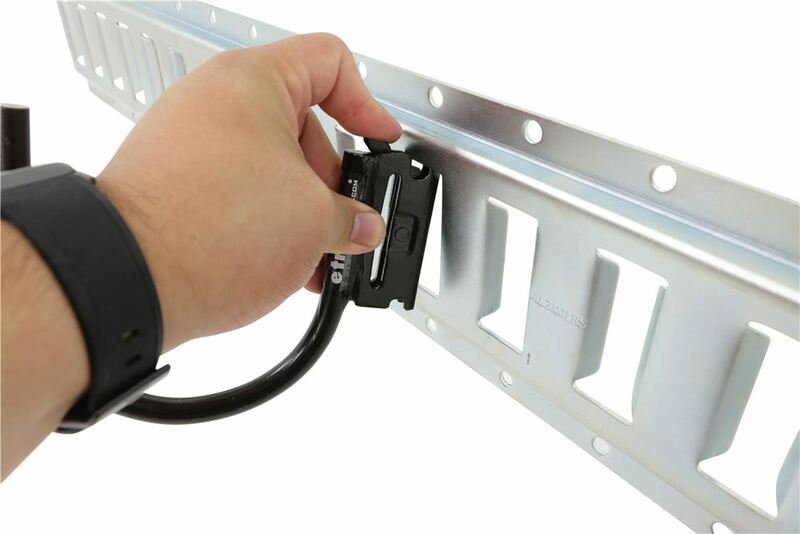 This allows the hook to easily be moved from one slot to another. This unit is made from a durable steel construction with black powder coat finishing to resist rust and corrosion. When it's installed, like this, it sticks out from the E-track about 6 1/8" to 6 1/4". This opening right here, that measures 4 3/8" and then the hook, the steel has a diameter of 1/2" and then the depth, so from the top of this portion here down to the bottom right here, that area right there is 4 1/2" deep. 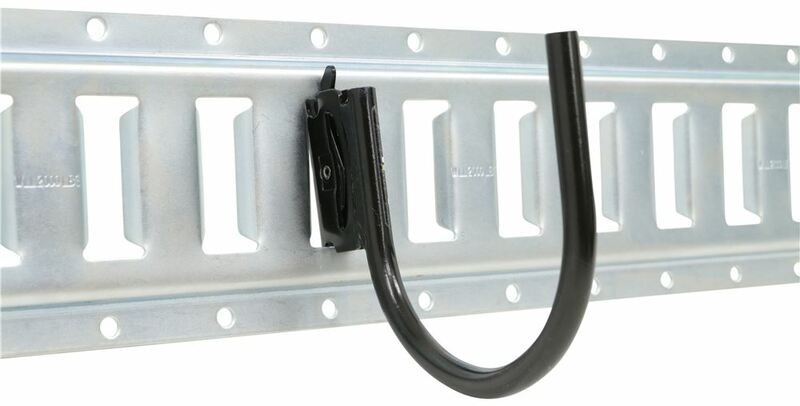 That's going to do it for today's look at the Erickson Storage Hook for E-track systems. 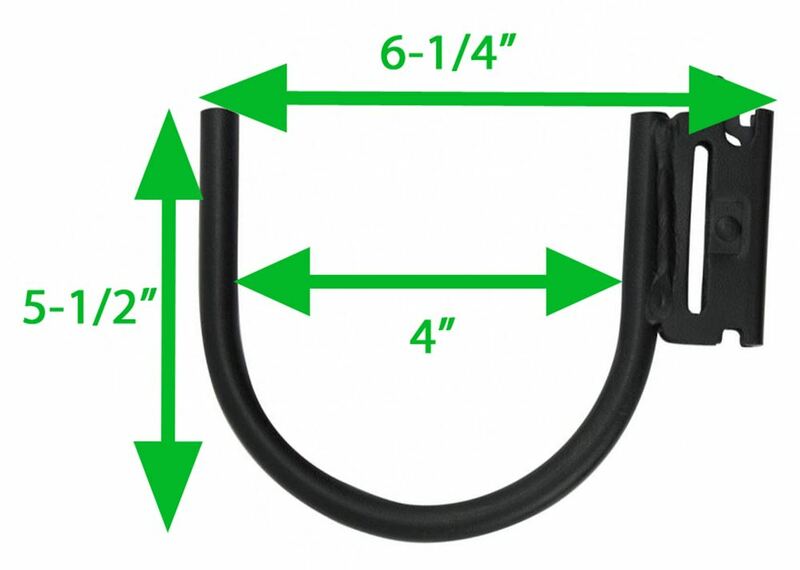 Order: RelevanceNewestRating - High to LowRating - Low to High This J-hook clips into an E-track anchor point, allowing you to hang cargo inside your trailer. 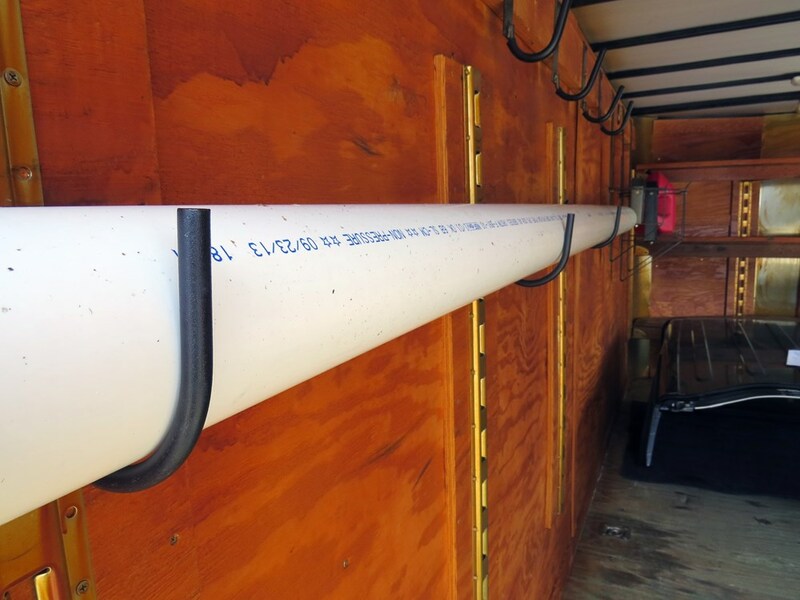 The round shape makes it perfect for storing PVC pipe or other tubing. Spring-loaded fitting easily snaps into slots on E-track. Do you have a question about this E Track? 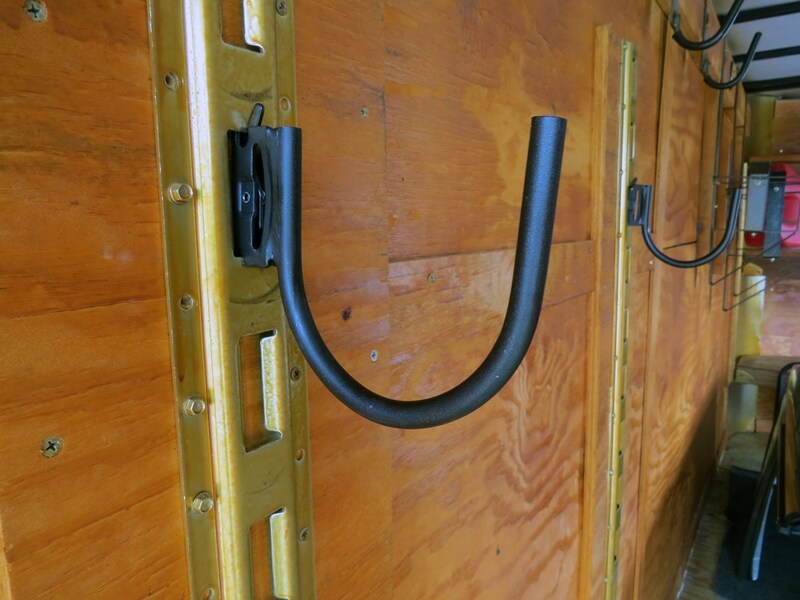 The storage hooks like parts # ETJR, # ETJS, # EM59142 or # EM59141 all mount in a vertical E-track slot. If you wanted to run the E-track horizontally, you'd use the standard E-track like # E19148. If you wanted to run the E-track vertically, you'd use # E19146. 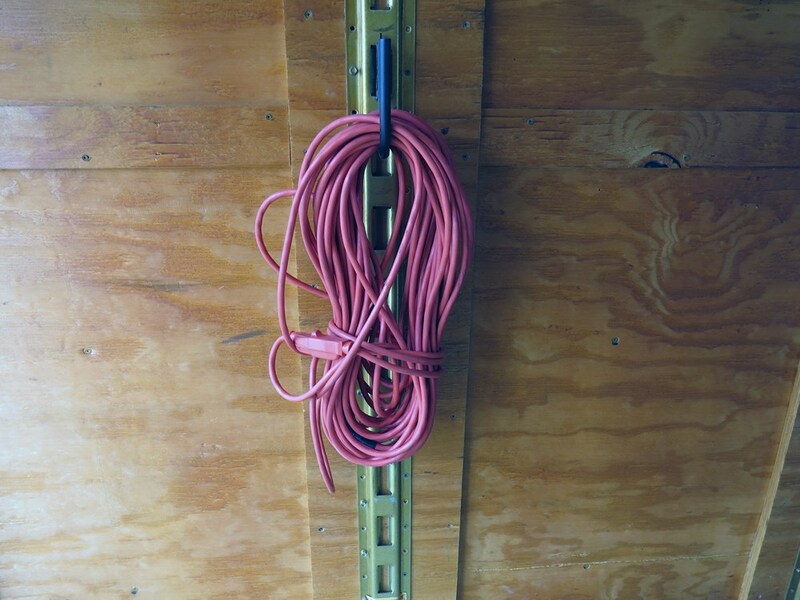 Either way, the hooks will clip into a vertical slot. Highest quality e track for the best price. Most detailed, accurate e track information available.